Terrorists are abandoning their weapon caches as they retreat from advancing Syrian armed forces. Another caches was recently discovered by sweeping teams. 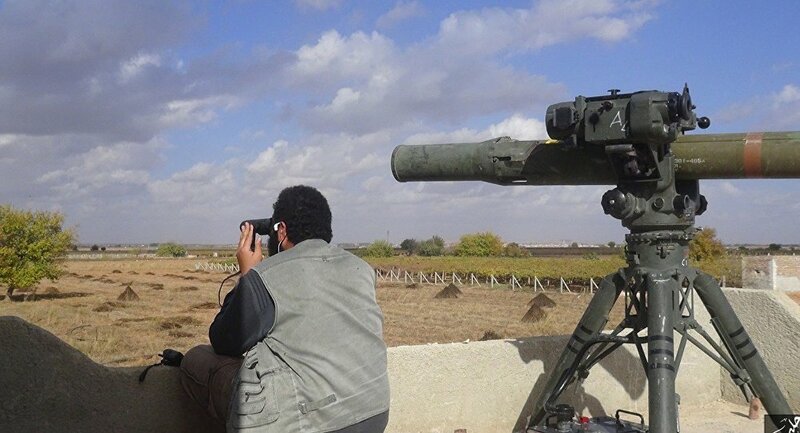 Syrian authorities have reportedly found US weapons and munitions, including TOW anti-tank missiles, while searching former terrorist positions in the country's southern region, the SANA news agency reported Thursday. While the exact location of the discovery hasn't been disclosed, As-Suwaida province, where Syrian forces recently eliminated one of the few remaining Daesh strongholds, is a likely candidate. — Ahmad Al-Issa (@ahmadalissa) 28 марта 2019 г. ​TOW (tube-launched, optically-tracked, wire-guided) missiles are the main US anti-tank weaponry. The system consists of either a tripod or vehicle-mounted tube, which launches a wire-missile to a distance of more than 3 kilometers. This is not the first time US-made weapons have been discovered in terrorist hideouts. In February, a stash of US and Israeli-made weapons was discovered near Damascus. Earlier in January, US and Israeli-made weapons were found at former terrorist positions in Dara'a province, PressTV reported. One month before that, American arms and Israeli medicine were discovered in Dara'a and Quneitra provinces.